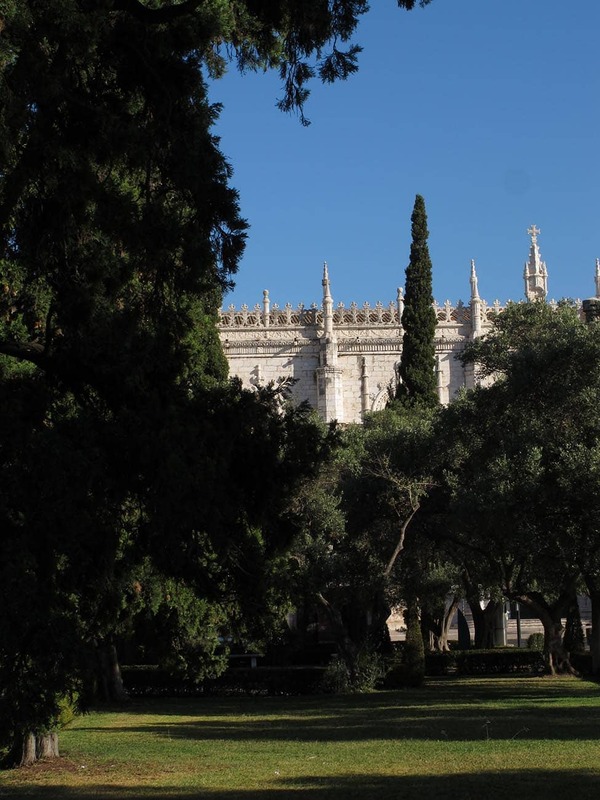 Also known as the Jardím do Império (or Imperial garden) and facing the Monastery of the Hieronymites’ (Mosteiro dos Jerónimos), this garden, together with the Afonso de Alburquerque Square in front of the National Palace of Belém, and the Vasco de Gama Garden, are interesting examples of 20th century landscaping. 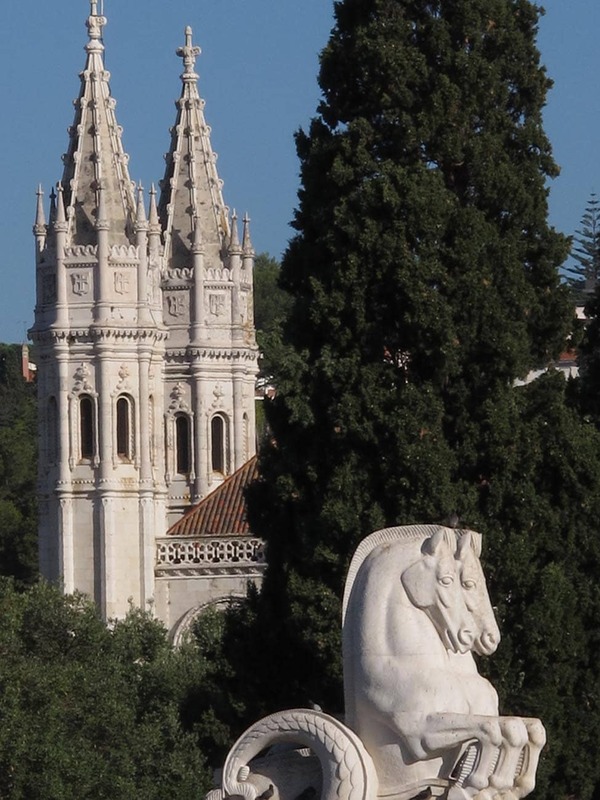 Like the Alfonso de Alburquerque Square, this garden was built for the 1940 Exhibition of the Portuguese World as a joint collaboration between the architect Cottineli Telmo and the agricultural engineer Gomes Amorin. 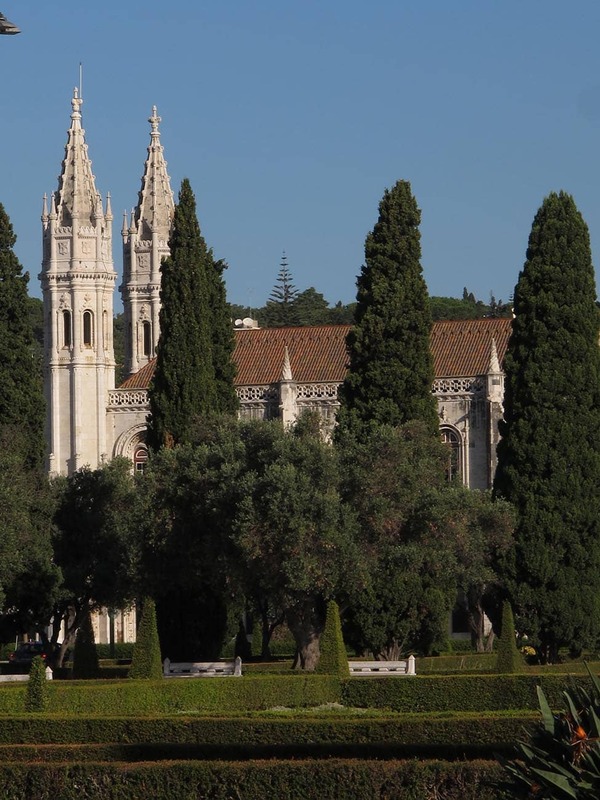 The garden is laid out on a low quadrilateral with a monumental fountain at its center adorned with the coat of arms of the thirty Portuguese provinces, and the emblematic crosses of Tomar and Avis. 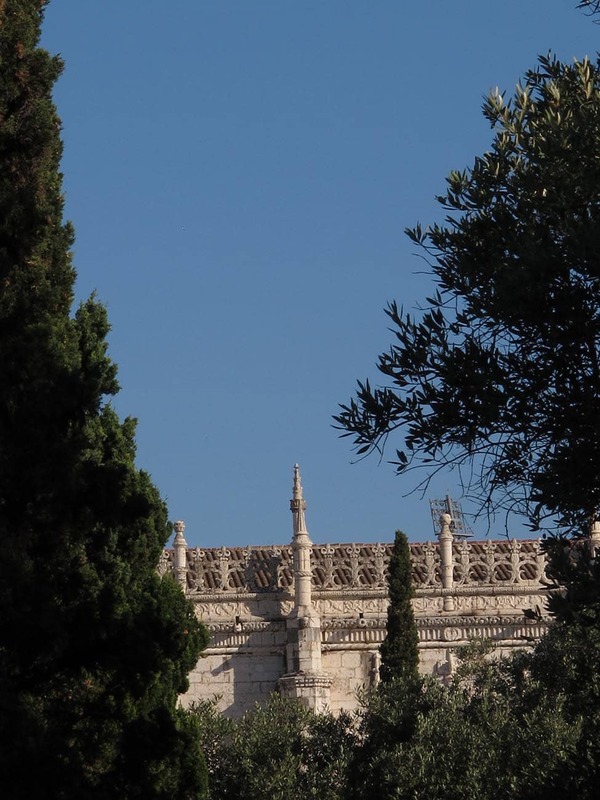 Sidewalks of Portuguese white marble cobblestone crisscross this central area, which is flanked by rows of cypresses (Cupressus sempervirens stricta), olive trees (Olea europaea) and myrtle hedges (Myrtus communis), evoking the classic Mediterranean world and serving as a backdrop for the handsome architecture of the Manueline monastery. 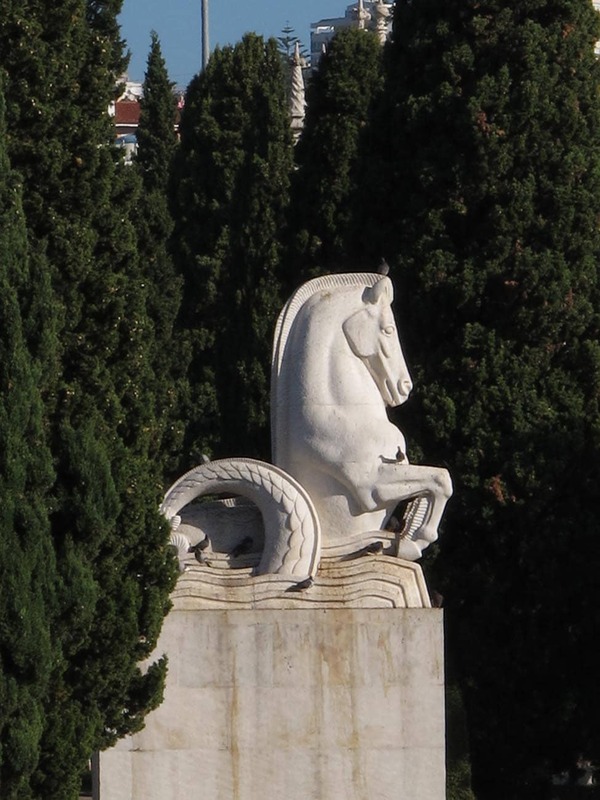 A wide canal in which the large sculptures of white-stone sea horses appear to swim gives way to Discovery Square (Monumento aos Descobrimentos) and the shores of the Tagus river. 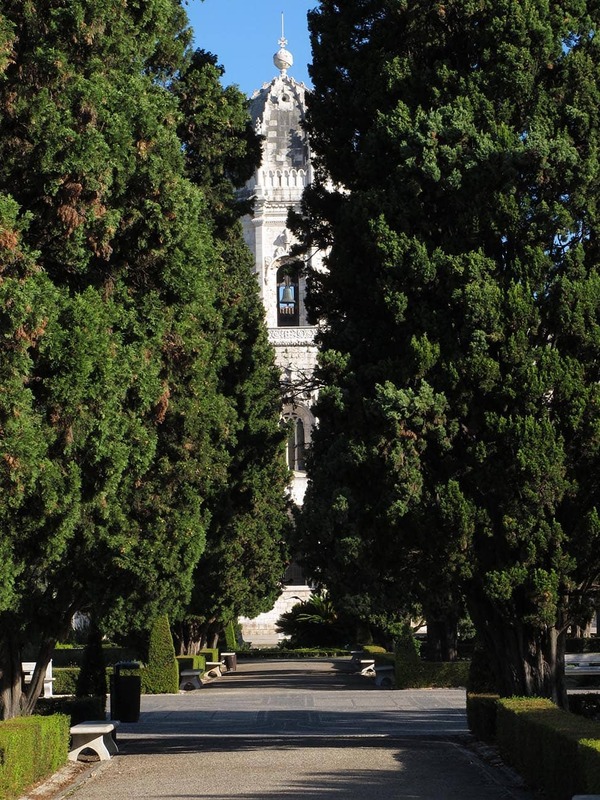 The careful manner in which the landscaping elements of this garden have been worked out, its understated character and the visual play between the vegetation and the site of the monument itself make for an evocative space.